"There is no such thing as ugly cars. It's a hobby, we all like different things." Some time ago Danny Cooke presented us David A Smith, a sign artist. In his latest video he and Amanda Bluglass portray Ray Ives, a 75-year-old deep sea diver. The video is absolutely stunning. I suggest you enjoy Danny's work in full screen mode. Via Tom "Bandit Film" Broadhurst. Chris Cleen via Ink Butter. If have to get home. And ask my wife whether she would like to found a race team with me. Thanks for this awesome find, Daniel Strohl. 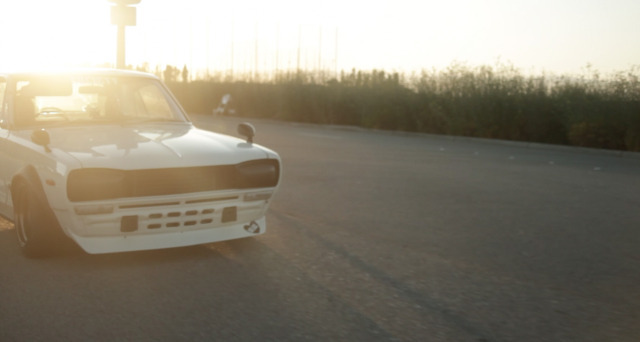 Josh Calson (HBTV/Depth of Speed) shows some love for Brtish cars.